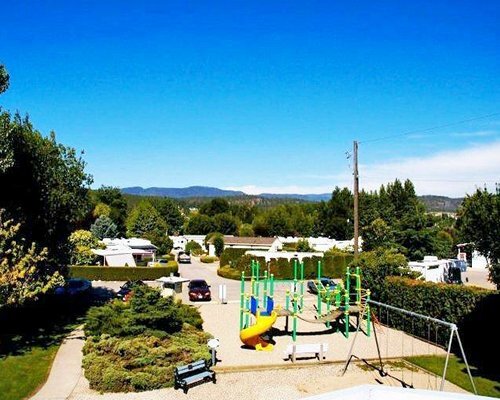 A 67 acre playland surrounded by championship golf courses, award winning wineries and 2 world class ski hills, Holiday Park includes 117 condos (leasehold & timeshare) and 577 RV sites (leasehold & rentals), all fully serviced apic_dannd landscaped. 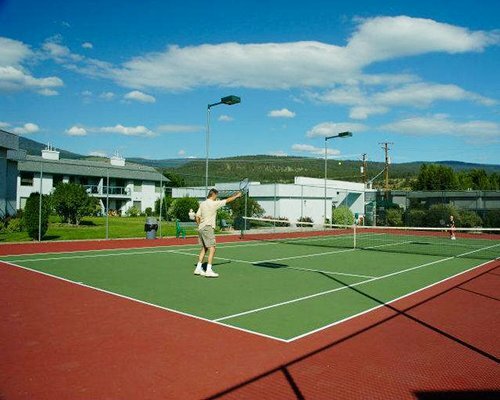 The resort hosts a multitude of recreation facilities and amenities enjoyed by visitors and full time residents. 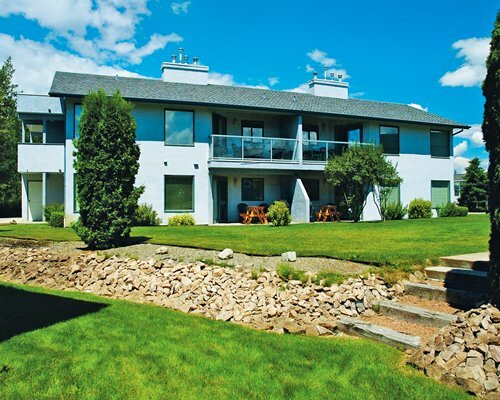 Units range from hotel to three-bedrooms. All units have at least one telephone, television, and VCR. Some units have whirlpool tubs. 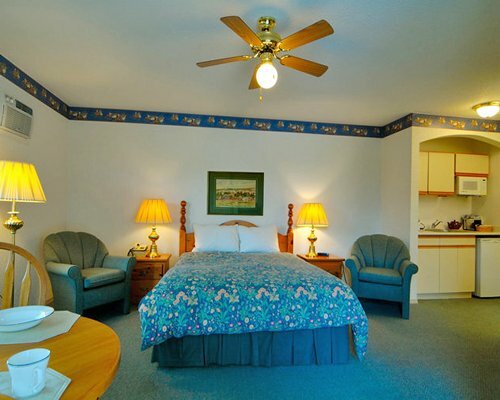 The 2 bedroom units have a queen bed in the master bedroom and a queen bed in the second bedroom. 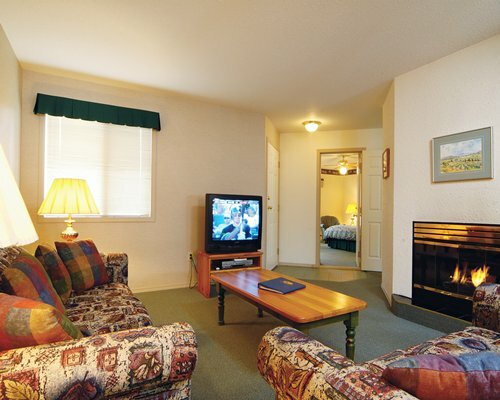 The 1 bedroom units have one queen bed in the bedroom & queen-size pull-out sofa in the living room. Studios have a queen bed(maximum occupancy is 2). Midweek linen exchange is available on request. 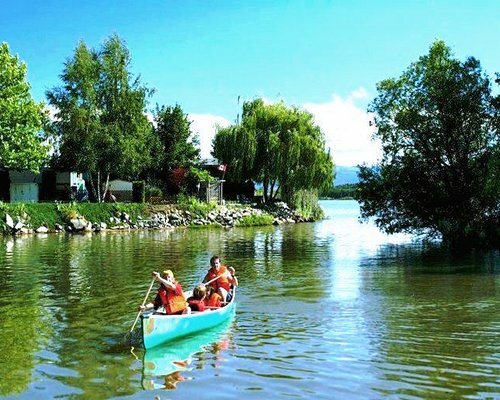 Holiday Park RV and Condo Resort is one of Canada's finest four-season resorts on the tranquil shores of Duck Lake, surrounded by idyllic amenities, facilities, and 24-hour security. 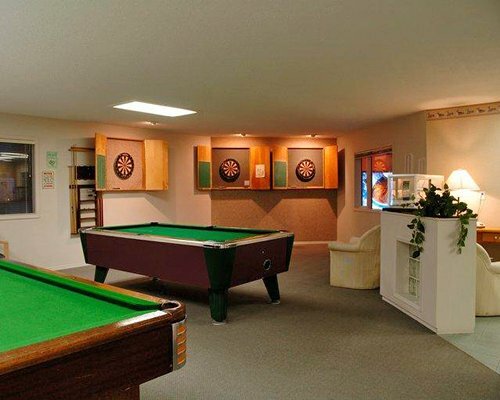 Some amenities and facilities are seasonal. 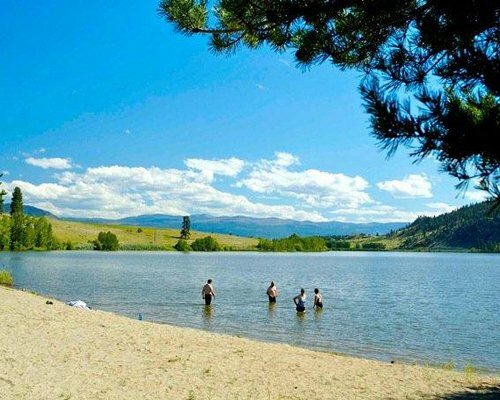 The resort is 11 miles north of Kelowna's city center and located in the heart of Okanagan Valley, which offers year-round activities such as skiing in winter, warm-weather activities in summer, and wine tours in spring and fall with an extended golf season. 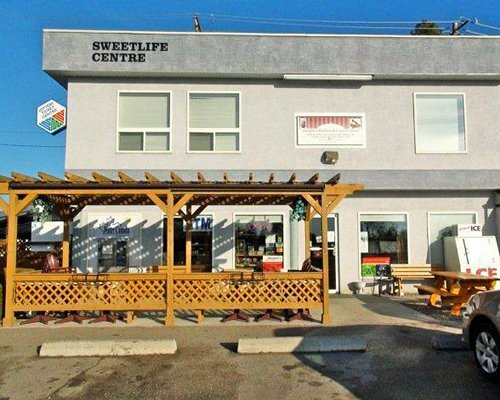 Turn at the "boat" on Highway 97 N. and discover the "sweet life." 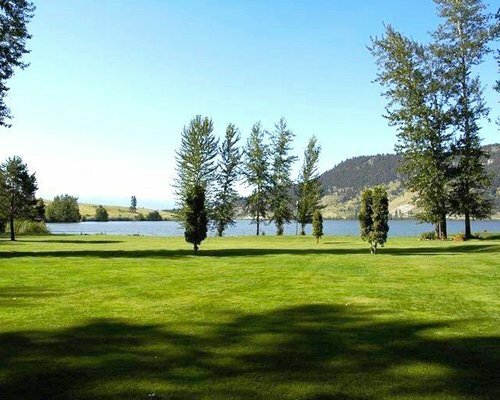 Kelowna International airport is located 5 miles from the resort. When exiting the airport, travel 5 miles north on Highway #97. Turn right at the large sailboat on the Highway which is Commonwealth Road. 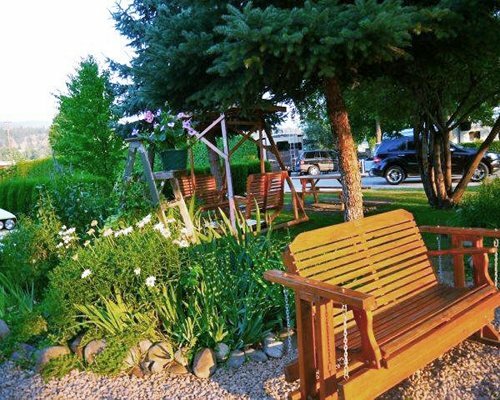 There is a sign welcoming you to Holiday Park Resort. 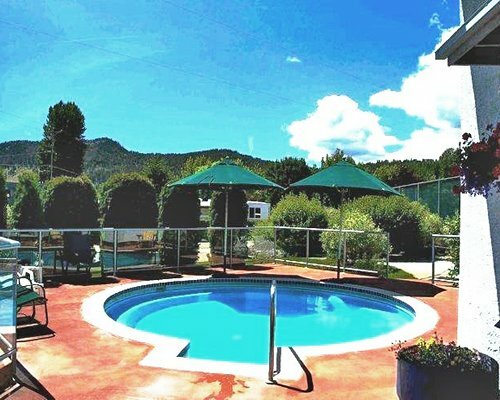 The resorts address is 415 Commonwealth Road. The front desk is open from 8:00 am until 8:00 pm. 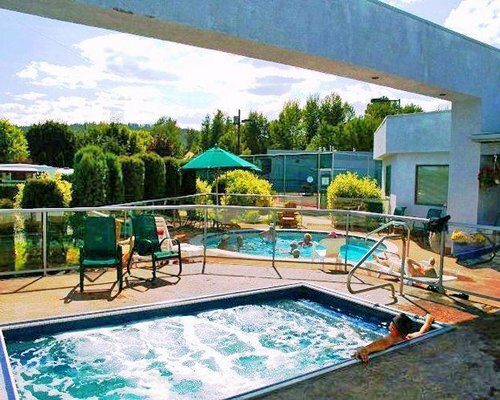 "Housekeeping fee for all RCI points reservations: There may be a fee of 45.00 local currency for Studio, per stay. Cash or Credit is accepted." "Housekeeping fee for all RCI points reservations: There may be a fee of 55.00 local currency for 1 Bedroom units, per stay. Cash or Credit is accepted." "Housekeeping fee for all RCI points reservations: There may be a fee of 65.00 local currency for 2 Bedroom units, per stay. Cash or Credit is accepted." "Housekeeping fee for all RCI points reservations: There may be a fee of 75.00 local currency for 3 Bedroom units, per stay. Cash or Credit is accepted."